بكى داعشي حظه التعيس، وبدا ناحبا كالأطفال بعد أن وقع أسيرا في قبضة "البيشمركة" الأكراد في العراق، فأنزلوه "ضيفا" في فيديو بثه موقع LiveLeak الشهير، ومنه وصل صداه إلى بعض وسائل الإعلام العالمية، كما ومواقع التواصل، فخطف الأضواء فيها سريعا. وضعوه بعد اعتقاله في المقعد الخلفي لسيارة "جيب" مكبل اليدين خلف ظهره ومعصوب العينين، وعندما علم بأنهم كشفوا أمره كمنتحل لشخصية غير "داعشية" بحلق لحيته وتغيير نمط ثيابه، أقر بالأمر الواقع، وراح ينوح ويبكي مصيره الذي وضع نفسه فيه. نراه ونسمعه يبكي في الفيديو بتحميله من "يوتيوب" الموضوع فيه منذ أمس الجمعة، بعد أن وجدته أيضاً في موقعي صحيفتي "الديلي ميرور" ومواطنتها "الديلي ميل" البريطانية، ثم نجد أحدهم يطبطب على ركبته، وآخر يقول: "تستاهلون" في إشارة إليه وإلى غيره من التنظيم المتطرف بسوريا والعراق، علماً أن بكاءه وعويله ليسا من ألم ناتج عن إصابة ما، بل من حظه التعيس وندمه على "التدعوش" والتطرف والانحراف. 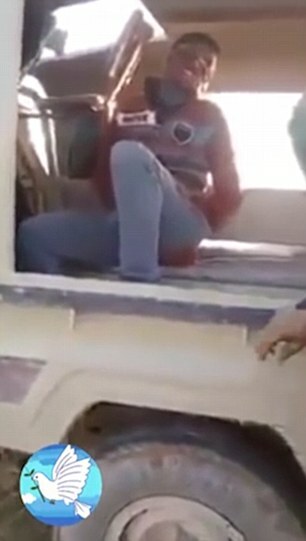 Dramatic footage has emerged online showing a suspected ISIS fighter crying after he was taken prisoner by Kurdish forces in Iraq. The prisoner does not appear to have any noticeable injuries as he sits in the back of the armoured truck. 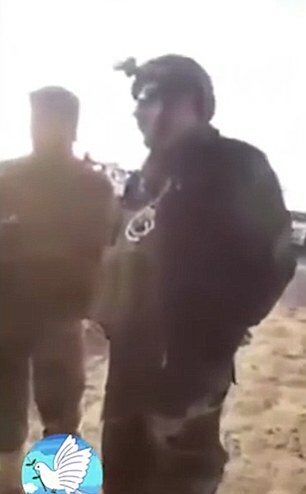 Much to the amusement of the Kurdish forces, the prisoner cries and moans loudly as he waits to be taken away. 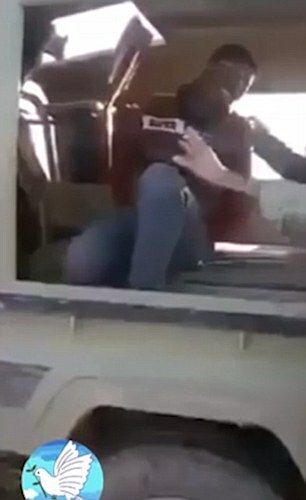 Dramatic footage has emerged online showing a suspected ISIS fighter crying after he was taken prisoner by Kurdish forces in Iraq. 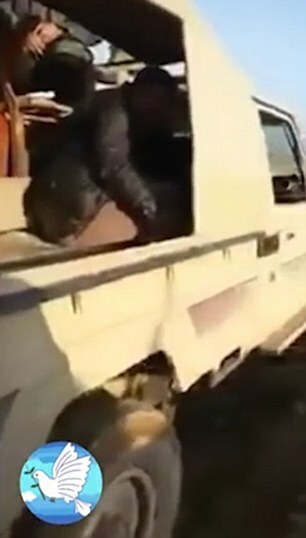 The prisoner does not appear to have any noticeable injuries as he seats in the back of the armoured truck. 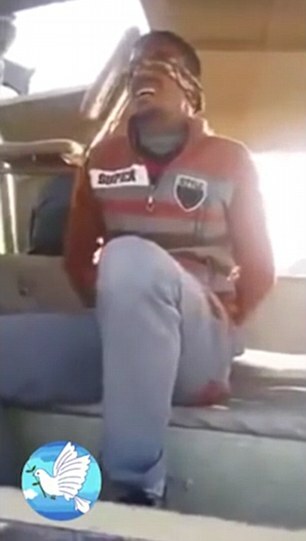 Much to the amusement of the Kurdish forces, the prisoner cries and moans loudly as he waits to be taken away. Dressed in civilian clothing, the prisoner appears to have had his hands bound behind his back and his eyes covered with a makeshift blindfold. 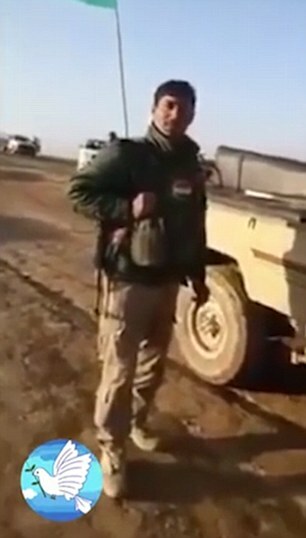 His painful wailing noises gain no sympathy from his captors, thought to be members of the Kurdish Peshmerga. The Kurdish flag can be seen flying on its pole in the background but the desert landscape of the location remains unknown. One other prisoner, dressed in a black leather jacket can be seen sitting quietly in the back of the truck. The footage was originally uploaded last December but has since re-emerged, attracting plenty of comments on social media. A second extended video of the incident reveals that the prisoner was crying because he had just been tasered in the left thigh. 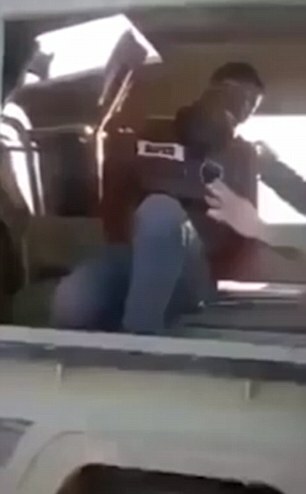 Social media users have been quick to speculate about the fate of the prisoner, whose identity remains unknown, with some comments suggesting he will be tortured.